Visiting Los Banos, or just looking to better appreciate what it has to offer? Get to know the city by browsing its most popular local restaurants, from a barbecue spot to a Mexican eatery. Hoodline crunched the numbers to find the top places to dine in Los Banos, using both Yelp data and our own secret sauce to produce a ranked list of businesses. Read on for the results. 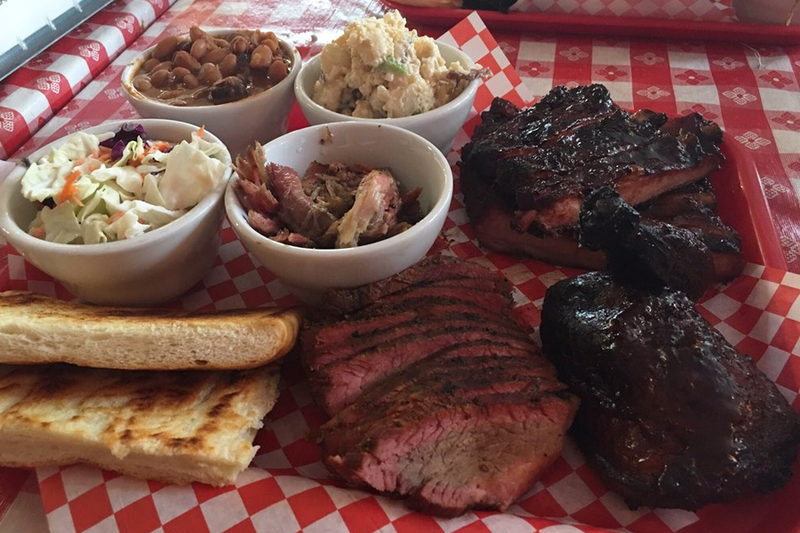 Topping the list is counter-service spot Hot City BBQ. Located at 1313 S. Sixth St., it's the highest-rated business in the city, boasting 4.5 stars out of 367 reviews on Yelp. Look for barbecue meats like ribs, chicken, pulled pork and tri-tip. For lunch, try the pulled pork or wood-roasted tri-tip sandwiches, or the Hot City Salad with greens, roasted pepitas (pumpkin seeds), crisp apple, blue cheese, red onion and light apple vinaigrette. 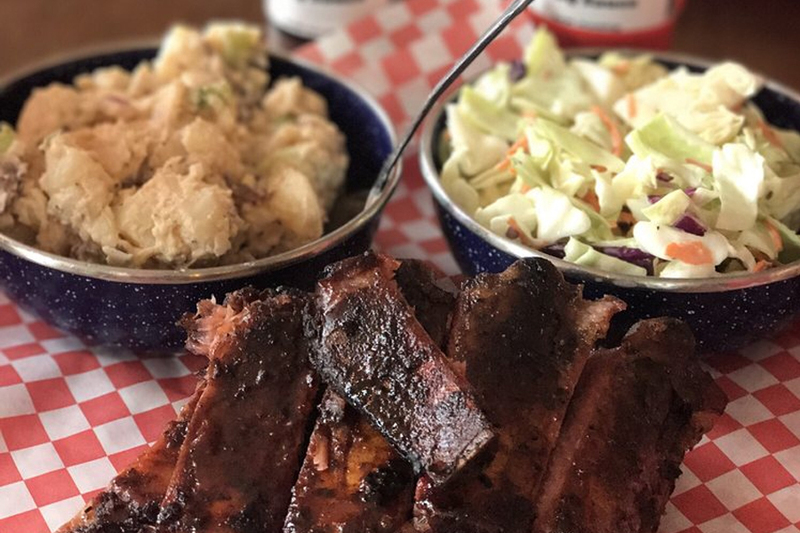 "The barbecue here is the best in town, probably best barbecue in the valley," wrote Yelper Mohammed S. "If you love beef ribs, this is the place for you -- I haven't seen anyone make them this good. Very tasty and fresh. The owner is a great guy always making sure customers are happy." Next up is Wool Growers Restaurant, a Los Banos staple that specializes in French Basque cuisine. With four stars out of 334 reviews on Yelp, the restaurant at 609 H St., which has been around for more than a century, has proven to be a local favorite. Here, expect a simple, meat-heavy menu that offers items like baked chicken, tri-tip, pork and lamb chops, New York steaks and more. Each day also comes with a specialty item, like pigs feet, oxtails or lamb shanks. Diners looking to pair their meal with alcohol can also expect an array of beers, wines, whiskey, tequila, gin and cocktails. Traditional American spot Courthouse Diner, which offers burgers and more, is another top choice. 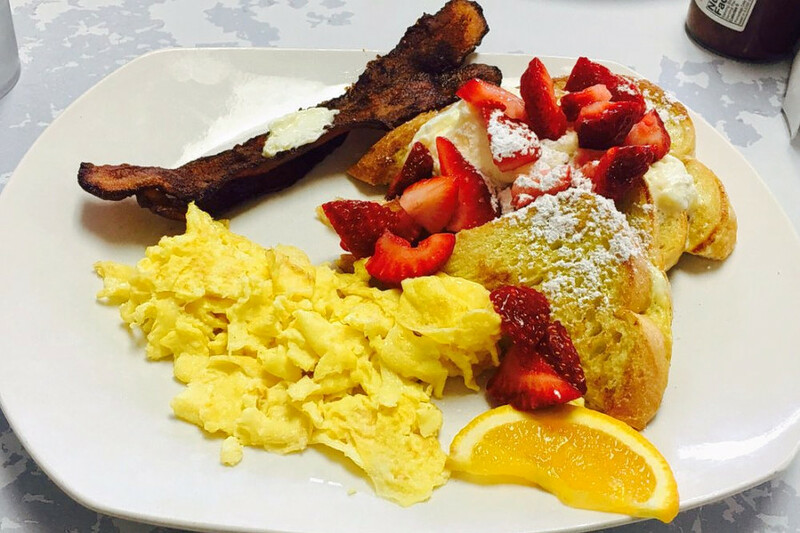 Yelpers give the business, located at 245 W. Pacheco Blvd., 4.5 stars out of 82 reviews. The establishment offers grilled beef burgers -- bacon cheese, avocado, mushroom and Swiss, among others -- served with lettuce, tomato, onion and pickles on an oil-topped hamburger bun. 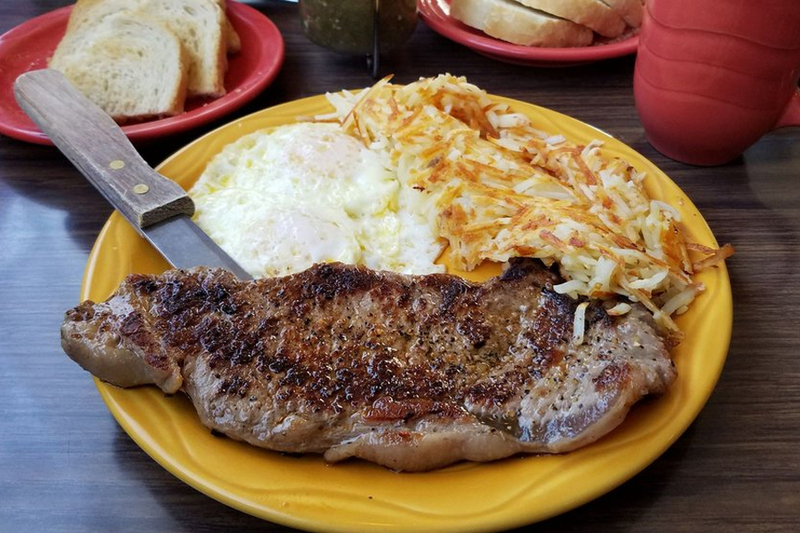 Early birds, look for a robust menu of eggs paired with Italian sausage, ham, bacon or crispy, golden-brown Texas-style chicken-fried steak. 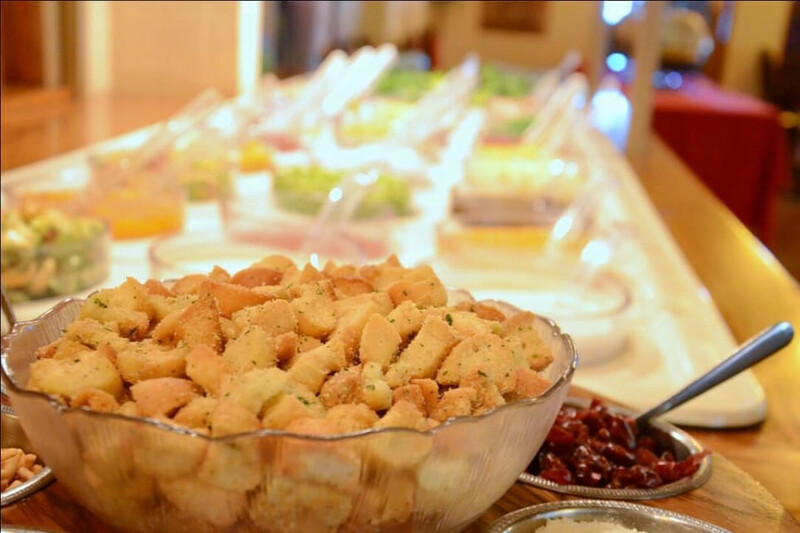 Each option is served with home potatoes or your choice of bread. Egg substitutions are available. 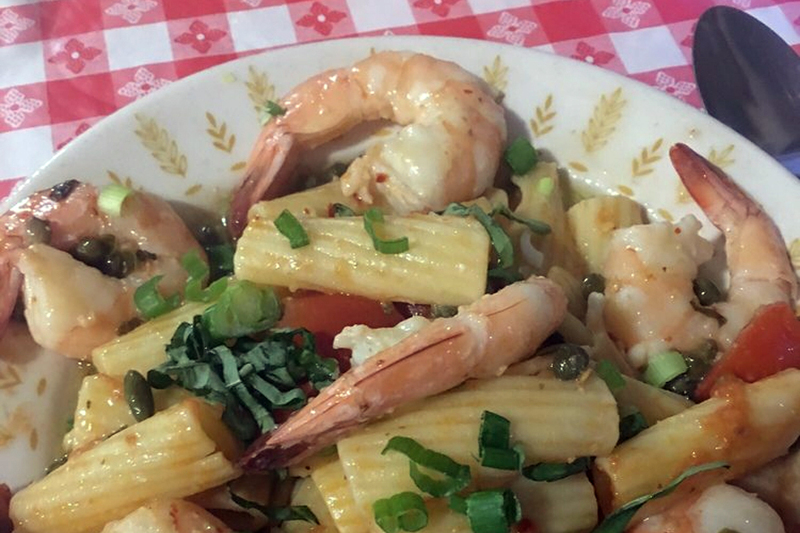 Eddie's Restaurant is another neighborhood go-to, with four stars out of 248 Yelp reviews. At the old-school diner, morning offerings include breakfast burritos, waffles topped with strawberry, apple, blueberry and whipped cream and homemade cinnamon rolls. For lunch, look for an array of soups, salads and hamburgers. Head over to 401 W. Pacheco Blvd. to see for yourself. Then there's Espana's Southwest Bar & Grill, which has earned four stars out of 214 reviews on Yelp. You can find the Mexican and Southwestern bar, which has been open for more than 50 years, at 1460 E. Pacheco Blvd. Lunch favorites include a buffet that offers fajitas, cheese enchiladas, charro beans, Spanish rice and an organic salad bar. On Fridays, the buffet includes fish fajitas and clam chowder. Or check out the turkey burger, made with fire-grilled, all-natural turkey that is topped with grilled onions, lettuce, pickles and tomatoes, and served with fries or organic salad.